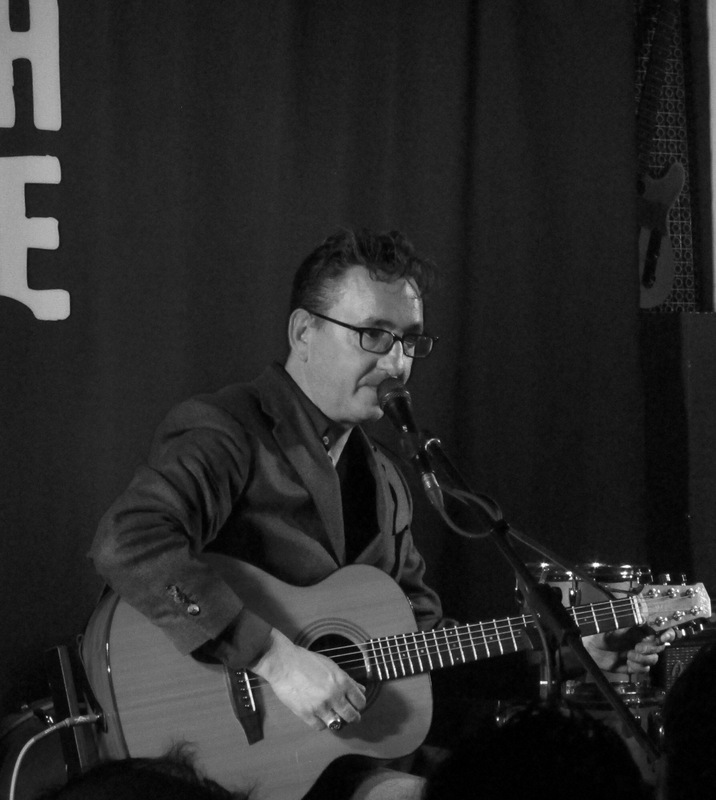 It has all been pretty much plain sailing for Richard Hawley, hasn’t it? Two Mercury Prize nominations, a string of gorgeous albums, cameo appearances with Arctic Monkeys, Elbow and Soul Savers…a life free of turbulence and incident? If only. That’s what you might think if you just heard the likes of “I Still Want You”, “Heart of Oak” or “Sometimes I Feel” on new album “Hollow Meadows”. Hawley certainly has the lightest of touches with melody, demonstrated by playing these songs – and a handful of others – at an in store appearance at Rough Trade East to promote the new record. But a life free of incident? Perhaps only one packed with so much struggle can deliver such beautiful songs of yearning and reflection. Even in the last few years, when Hawley’s career trajectory has been quite firmly striding forwards, Sod’s Law has been just around the corner, just waiting to stick out his leg and trip Hawley up. In 2012, following the release of “Standing on the Sky’s Edge” Hawley broke his leg and damaged his back. On the subsequent tour Hawley took the stage in a wheelchair, (a la Dave Grohl, only it was *just* a wheelchair rather than a Foo Fighter style “guitar throne”). I saw Hawley shortly afterwards accepting his Mercury Award nomination and he was moving very gingerly, clearly in a good deal of pain. Indeed, Hawley could barely move for four months, and his rehabilitation presented him with the thinking time that inspired songs on the new album, including in particular “Sometimes I Feel”. We can be glad that Hawley has such single-mindedness to strike a solo path. Hawley’s body of work is now formidable, from early albums like “Lowedges” and the feted “Cole’s Corner”, to the 2009 Mojo album of the year “Truelove’s Gutter”, justifying his decision to decline offers to take an easier path along the way. 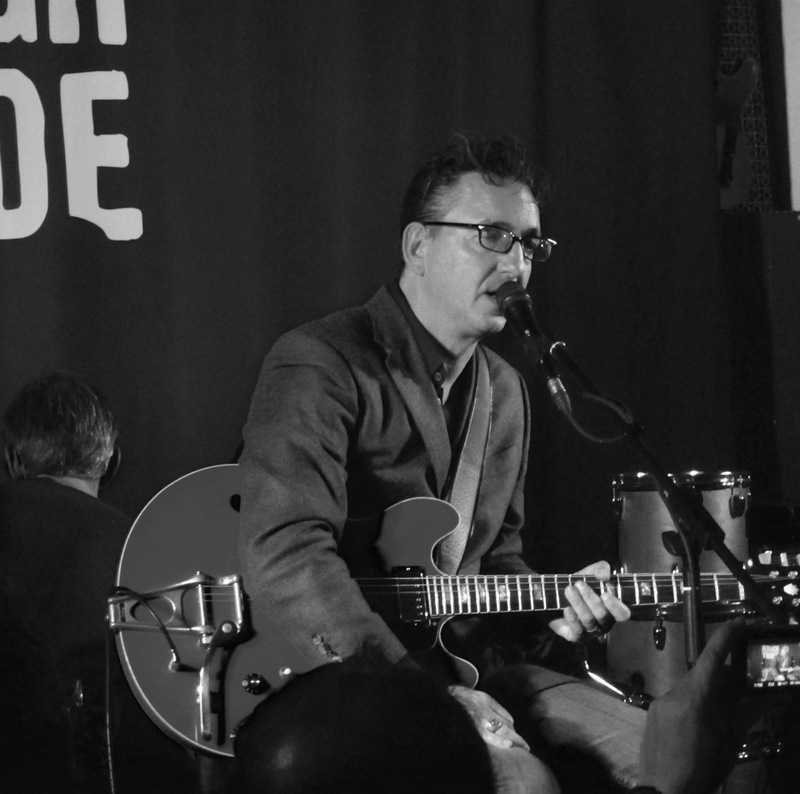 For example, it has been eleven years since Richard Hawley turned down an opportunity to become an instant millionaire. It was 2004 when he took a call from Robbie Williams, who had just split from his songwriting partner Guy Chambers. Williams was at the height of his fame. The biggest pop star in the UK. A year earlier he had sold out three nights at Knebworth, one more than Oasis had managed seven years earlier. In those three nights alone he played to 375,000 people. Hawley meanwhile, had played the 500-capacity Cargo venue in East London. Their circumstances could hardly have been more disparate. Williams had heard Hawley’s three solo albums – and although none of them were exactly platinum sellers, he was a fan. Perhaps Hawley could be the Marr to Williams’ Morrissey? Given the circumstances, Hawley must have been tempted. It wasn’t Hawley’s first opportunity to be somebody’s Jonny Marr. Instead, Hawley was hired by Longpigs, a local Sheffield band headed by the son of a labour MP (and, most crucially) step-cousin to Bear Grylls, Crispin Hunt. In April 1996 Longpigs produced one of the best “debut albums with a mundane title” that you can think of. “The Sun Is Often Out” is undeniably a true statement of fact, and the album was a minor indie pop classic containing hit songs including “She Said” and “On & On” both of which hit the top twenty. But after some modest success, the band ended messily and slowly. The follow up album took three years. 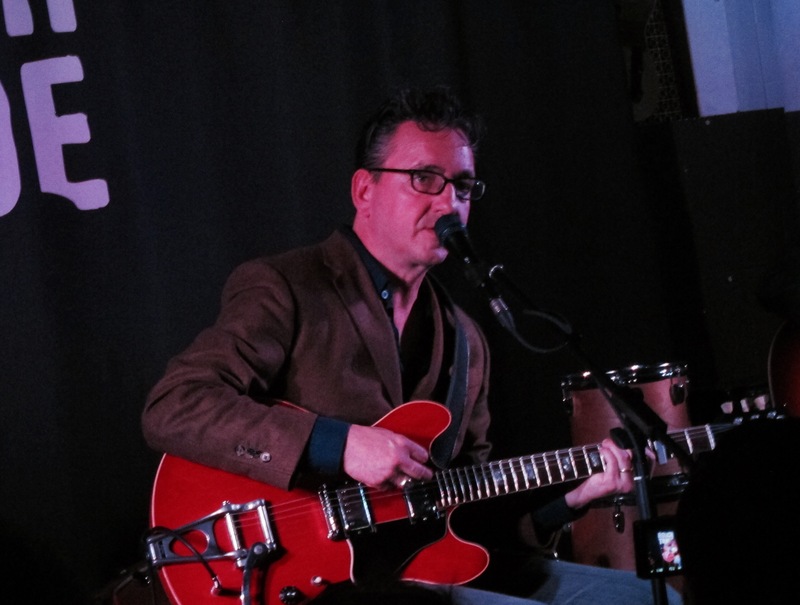 To fill time Hawley became a session musician. The guitar part in All Saints’ 1997 hit Under The Bridge? That was Hawley. But the band and Hawley in particular had drug-related problems and they split. There was no going back when drummer Dee Boyle attacked the lead singer Crispin Hunt who needed stitches for a cut to his face. Hawley joined Pulp for a while, reuniting with former school friend and Pulp bass player Steve Mackay. Hawley eventually went solo in 2001, after much pestering from Mackay and Jarvis Cocker, we assume in a good way. So what took Hawley so long to go solo? “I was born with a hair lip and a cleft palate and I thought the prerequisite for being a singer was to be devastatingly handsome and debonair.” he explained in an interview with The Independent in 1996 after his “Cole’s Corner” album was nominated for the Mercury Prize. The new album is an evolution of the Hawley sound. First single “Heart of Oak” opens the acoustic set tonight and has a whiff of Bowie’s “Heroes” about it. Stripped back to just two acoustic guitars and Hawley’s voice it is striking – one of the best songs Hawley has yet written. Hawley is accompanied by band member Shez Sheridan, and it’s a real treat to hear these songs played acoustically. “The Nights Are Cold” is next – an oldie from the Late Night Final album. “For Your Lover Give Some Time” from “Truelove’s Gutter” is beautiful and is accompanied by a funny story of the time Hawley first played the song to his wife. Hawley has played a few clubs in his time and has a keen wit to go along with his rich baritone. “Tonight The Streets Are Ours” from “Lady’s Bridge” soars – Hawley may have the world weary voice of a man who has had to play on an All Saints record to make a crust, but he can still carry hope in his voice like few others. The set ends with a track from the “Standing at the Shadows Edge” album, played with an electric guitar, “Leave Your Body Behind You”. 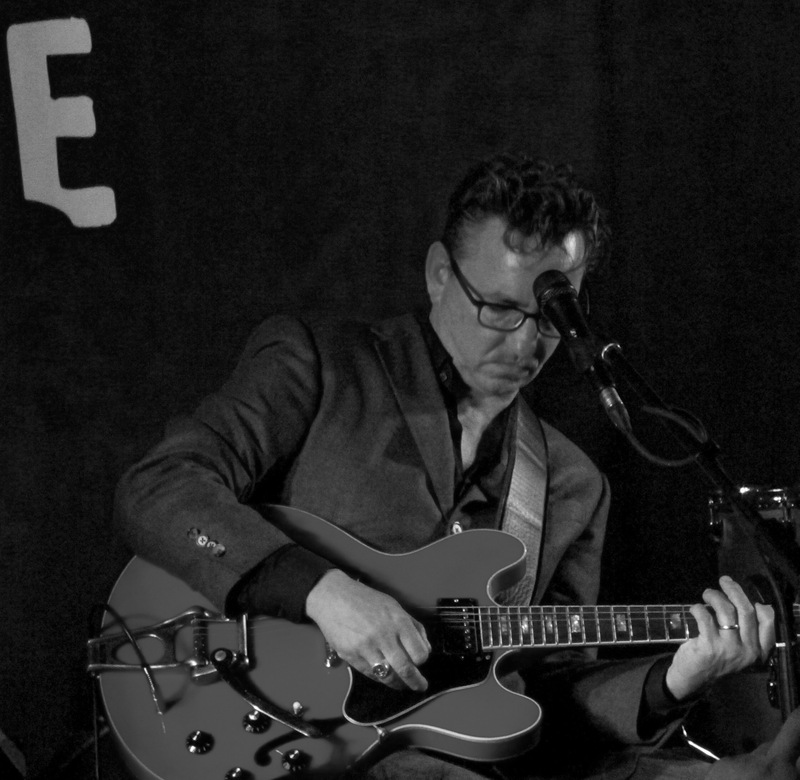 “Hollow Meadows”, the new album by Richard Hawley, is released this week. Really enjoyed reading this. Am a fan of Richard Hawleys though reading this I realise that up till this point I knew diddley squat about him! Album duly added to my list to get. Thank you for brightening up a rammed Central Line Tube on a Thursday morning! Nice post. Was actually listening to that Longpigs album earlier in the week. Haven’t heard anything from the new solo album yet, but I’m expecting good things. … meanwhile, in some alternate universe Williams has a bunch of great albums. I really liked Coles Corner. Other albums didn’t move me as much. But this new one sounds interesting. It’s a good mix between the last album and Cole’s. just come back from seeing him play live in Manchester – as someone lucky enough to see a lot of live music, all I can say is what a wonderful wonderful evening of beautifully composed songs that are very immediate gentle and human, what a wonderful band, what a great songwriter and the greatest male voice in the UK today.